At Skaer Veterinary Clinic, we provide the highest level of care available for our patients. We are very proud of the advancements that have been made in veterinary anesthesia and pain control in recent years and we fully embrace these changes. We have invested in state of the art equipment and continuing education for our doctors and technicians. Our team also understands the stress and concern that goes along with having your pets stay with us for their surgical/anesthetic procedures. 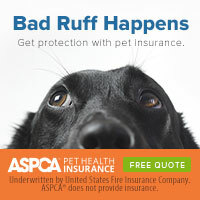 It is our priority to help you and your pets feel as comfortable and informed as possible. To achieve this we feel it is important to have you as involved as possible in your pets care. During our surgery check in one of our patient coordinators will meet with you to discuss the plan for the day. Owners are more than welcome to stay for the preoperative period and we invite you to observe part or all of the surgical procedure depending upon the status of our other patients in the hospital. We will also update you with phone calls throughout the day so you can stay up to date on their status. Once your pet is checked in we perform a complete physical exam (from the tip of the nose to the tip of the tail) to look for any other abnormalities that need to be addressed prior to anesthesia. After ensuring that your pet is free from abnormalities on physical examination, we will perform a chemistry panel and a complete blood cell count to be sure that your pet’s kidneys, liver, and other organs are functioning properly and he/she does not have anemia or problems with his/her white blood cells. If any disease is present we want to catch it in the early stages in order to give your pet the best prognosis possible and to ensure that we address the problem before anesthetizing him. The doctor customizes each pet’s anesthetic regimen with a combination of safe injectable medications and modern inhalant gas. Pain control is a priority for our patients, therefore they receive both pre and post-operative pain medication. We monitor them all day for any clinical signs of pain and treat appropriately. We have developed our anesthetic an pain protocols based on recommendations of a board certified anesthesiologist. All pets undergoing anesthesia receive fluid therapy by intravenous catheter during anesthesia to maintain vascular volume, hydration, and blood pressure. Their heart rate, respirations, blood pressure, and oxygenation are monitored throughout the procedure and are recorded. Any negative trends are immediately reported to the doctor. The patients IV fluids are continued until they are ready to go home and pain medications are given if any painful procedures were preformed. A veterinary nurse stays with your patient during the recovery period until they are awake and resting comfortably. We will always be advocates for the health, comfort, and well being of your pet. It is our responsibility to inform you of tests and procedures that will keep your pet healthy and free from disease. It is not unusual to discover problems as your pet ages. This is a natural part of the life process. When problems are detected early, they can usually be managed effectively. We want to provide the recommendations that will help your pet live a long and happy life. If you have specific questions, please don’t hesitate to ask any person on our staff. Thank you for giving Skaer Veterinary Clinic the opportunity to care for your pet!